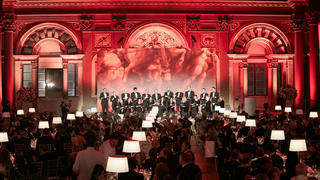 The biggest event of the superyachting year is back and you can now apply for your ticket to be there. Established in 2005, The World Superyacht Awards - widely regarded as the largest gathering of superyacht owners and industry leaders from around the world - celebrates the finest superyachts launched throughout 2016. With the support of Navigo - Tuscany's largest network of yachting industry companies - the 2017 Awards are delighted to return to the beautiful city of Florence where the winners will be presented during a glamorous gala evening. Since their inception, the awards have established themselves as the premier accolades in the yachting industry, thanks to their global influence and the impressive credentials of our judging panel. Table and ticket applications are now open. Due to a sell-out event last year, be sure to make your table applications promptly to avoid disappointment. Guests attending the World Superyacht Awards are encouraged to extend their stay in Florence in order to fully experience what this iconic city has to offer. The gala evening will be complemented by an additional social programme taking place across the weekend which will include a Finalists Party on Friday May 12 and Sunday Brunch on Sunday May 14. Nominations for the Awards close on November 30, 2016. To qualify, all yachts must be over 30 metres in length and have been delivered to their owners between January 1, 2016 and December 31, 2016. Full details concerning the award categories and the rules and entry requirements are available to view on the World Superyacht Awards website. Nominations are encouraged as soon as possible to allow the World Superyacht Awards Judges - an entirely independent panel comprised of 20 superyacht owners and two leading industry professionals - to make personal visits to nominated yachts.